When you browse the faded pages of an historical account, local lives don’t always shimmer to the surface. But Hampshire College professor of History Susan Tracy noticed a few intriguing details when she was paging through the 1870 census for Colrain, the small Franklin County town just north of Shelburne Falls. One entry, for a local boy named Frank McCloud, age 11, lists his position as “school” and “worker.” Similarly, the entry for a girl named Elvira Bates, age 13, lists her position as “school” and “spinner.” These are small hints of a common truth at the time: many of the town’s children — from deep-seated farming families as well as from recently arrived French-Canadian and immigrant families — were hard at work year-round in the town’s two cotton mills, which Buckland native and entrepreneur Joseph Griswold modeled on the cotton mills of Lowell. By the end of the Civil War, the part of town known as “Griswoldville” employed over 200 workers, who maintained more than 100 looms. 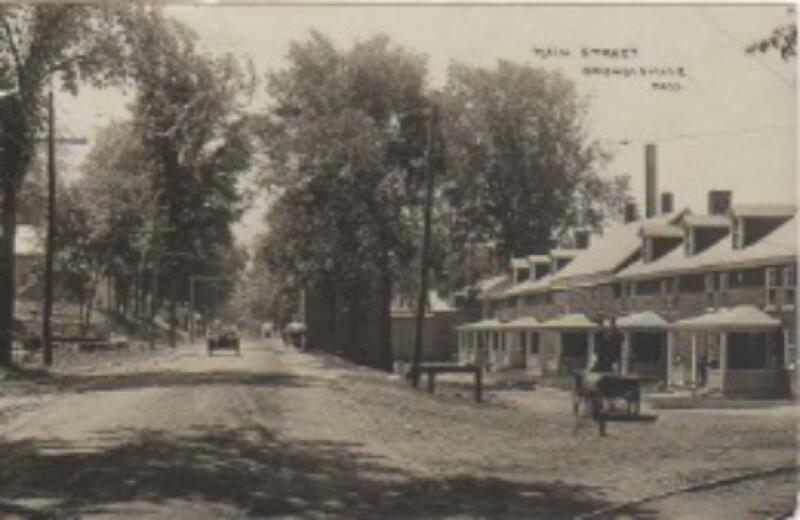 “If you were a child living in Coleraine, Massachusetts, from 1840 to 1890, you would have been a witness to and a participant in America’s industrial revolution,” Tracy wrote in a 2014 blog post for the Advocate. “In the factories where even the youngest workers put in twelve to fourteen hour days, mill work offered everyone and especially children a sharp contrast in daily routine from life on the farm.” This era of rapid change in the hilltowns comes to life on Sunday, March 20, when the local performance troupe Piti Theatre Company presents Olde Coleraine: A Musical Hilltown History at Memorial Hall in Shelburne Falls, as part of the 7th annual SYRUP performing arts festival. 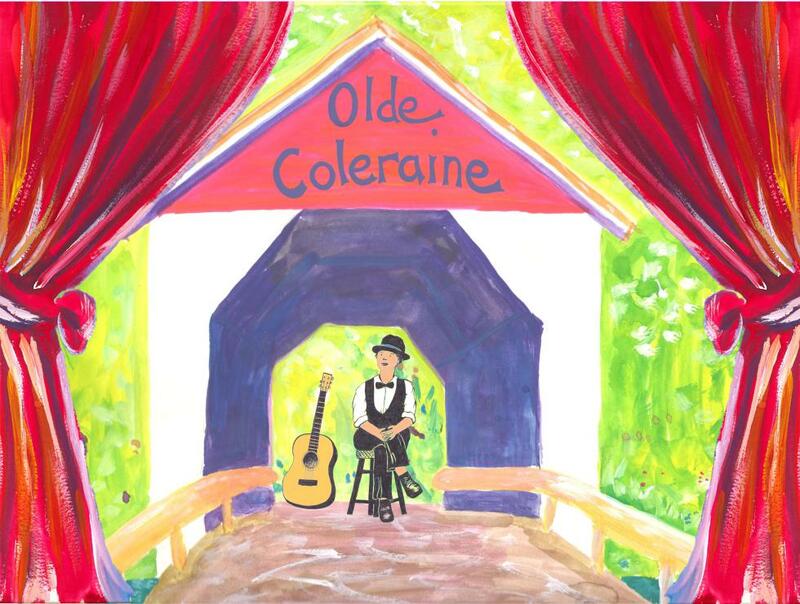 It will be an afternoon of all-ages fun in the village — the festival’s headline act this year is an award-winning touring puppet show, rounded out with food and baked good, maple tastings, and horse and cart rides — but Olde Coleraine, which plays at 2 p.m., provides the clearest window onto the lives of local children, past and present. 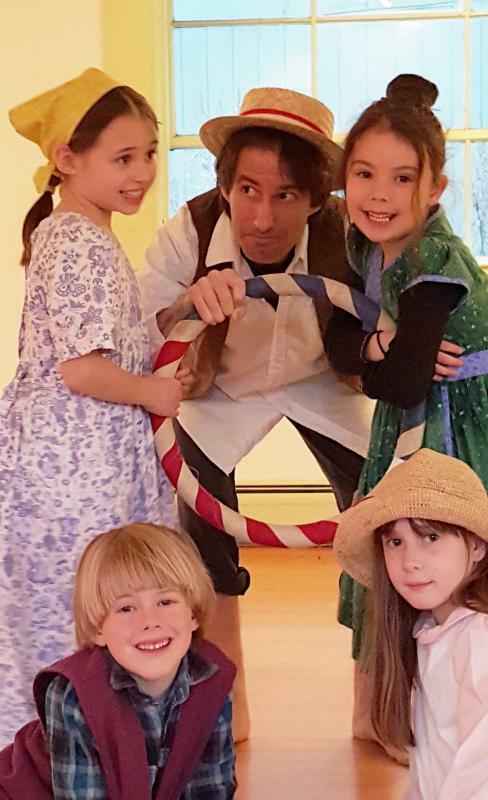 The world-premiere musical play explores the years from 1869 to 1898 through the eyes of a group of local children who worked on Colrain family farms and in the cotton mills. The show features original songs performed live by Northampton singer-songwriter Carrie Ferguson, acting from the local groups Ballet Renversé and the Shelburne Falls Youth Troupe, choreography by Piti Theatre Company co-director Godeliève Richard, and a script by her playwright-performer husband Jonathan Mirin, written with guidance from Susan Tracy. “It’s been fascinating to see how this history gets transformed for the stage, especially for children,” says Tracy, who counts labor history as one of her fields. “I really knew nothing about the history of Colrain and Shelburne Falls until this project.” Tracy first collaborated with Mirin and Richard in 2014 through a Mass Humanities grant, and the team put together a shorter, simpler production of the show at Colrain Central School that year. “We enjoyed that project, but we wanted to redo it,” Mirin says. “We had a limited residency at the school, so this has been our chance to make it bigger and better and to fill it out.” Piti Theatre Company, which was founded in Shelburne Falls in 2004, was still working toward its final draft of Olde Coleraine during interviews last week, but Mirin says that the show has five or six scenes that interweave rural and factory life, most of which are set to song: schoolchildren at play outside, school lessons, long hours in the mill, and a scene in which the kids ride the newly-opened trolley line to the dedication of Memorial Hall in Shelburne Falls. Audiences on Sunday won’t see that opening ceremony play out — “It would bore people to tears,” says Mirin. Instead, the focus is simply on the children’s trolley ride into town. “That’s why I wanted to tell this story through the eyes of kids,” he says. “It gives the show a more celebratory and playful feel.” But play is only half the picture. In the cotton mills, child workers typically put in 12 to 14-hour days, working as weavers, spinners, frame tenders, warpers, and spoolers. 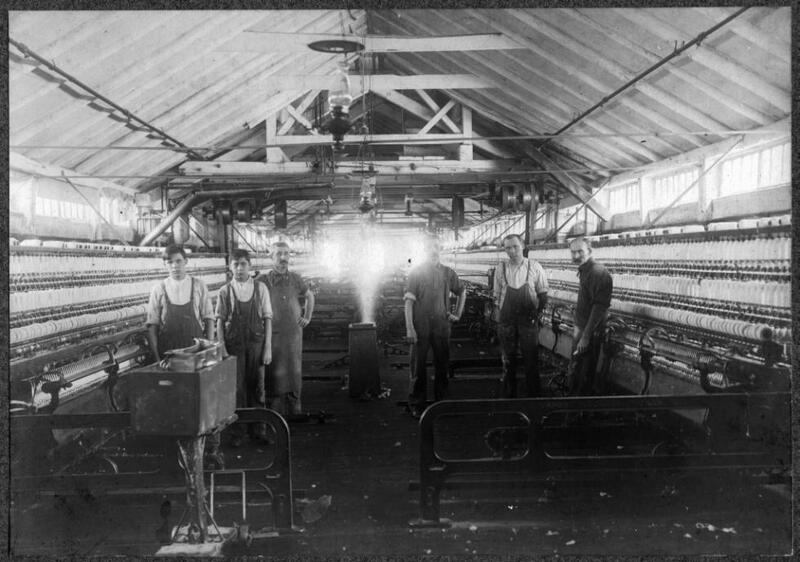 One special job for boys — the role of “doffer” — required them to run up and down the mill floor swapping out full bobbins of thread for empty ones. Girls were mostly assigned to weaving and tending the spindles, since they had fingers small enough to reach into the machines and fix broken threads. We recoil from such child labor practices now, says Tracy, and it certainly had its dangers, “but it’s easy for us to lose sight of the fact that in the 19th century, any children that weren’t working at the mill were working all day on the farm. 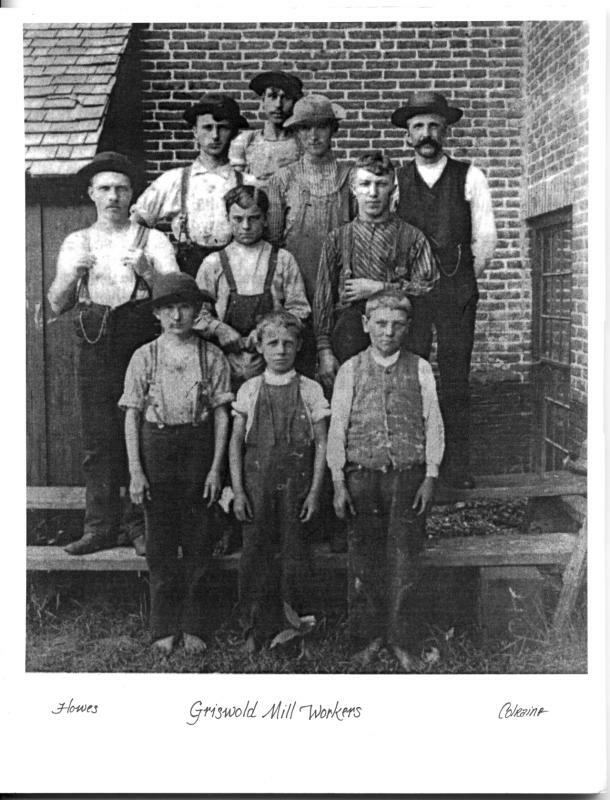 Having your kids go to work at a mill was not that unusual.” On the farms, boys learned planting and harvesting, and often construction, carpentry, and machine repair, from their fathers. They’d feed livestock, cut wood, and haul water, while the girls would work alongside their mothers to cook, bake, can, clean, wash, iron, sew, garden, and harvest. In other words: back then, childhood grew you up. In the show, Mirin plays a father from contemporary Vermont whose daughter is asking him questions about his great-grandfather — who Mirin imagines grew up in old Colrain. 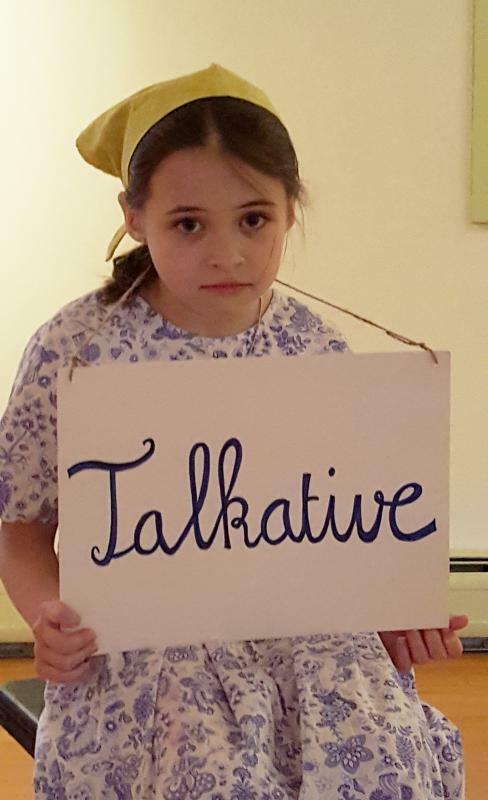 Using this narrative device, the play flips back and forth between historic scenes and modern-day conversations, acted out by 15 children between the ages of 6 and 11, plus five adults. As the show has come to life in rehearsals, Mirin and Richard have sought a balance in keeping their kid actors interested and challenged but not giving them so many lines or directions that they feel overwhelmed. “Sometimes simplicity is what works best onstage,” he says. One easy way to do this is to script children’s lines into unison responses, or as responses to a question spoken by an adult actor. Scene transitions, set and costume designs, and choreography also need to be as simple as possible. Mirin describes the mill scene as one example. “Obviously we felt some temptation to find looms and create a mill interior. But in the end, we got rolls of fabric, and my wife figured out a way to roll them over benches that are stacked on top of each other. It suggests a mill, but it lets the audiences fill in with their imagination. Then in the choreography, the kids use their movements to illustrate how the different parts of the machines are all connected to each other.” The songs, sung by Carrie Ferguson and the children, also help to tell the story. Mirin and Ferguson have done about half a dozen musical plays together over the years. Ferguson, who plays guitar and ukulele in this show, gets raw lyrics from Mirin and puts them to melody and music, occasionally rearranging or adding lyrics.